Welcome to our “Pioneer of the Month” series! 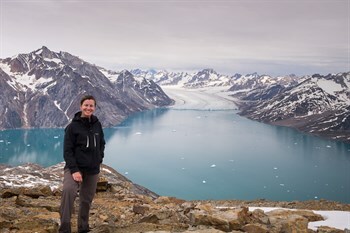 Every month we feature individuals that were inspired to take the road less traveled, venturing to Greenland with us to discover the powerful nature, colorful culture and pure beauty of this arctic country. Just like the first explorers from centuries past, our “pioneers” experience an adventure of a lifetime on pristine and untouched landscapes. 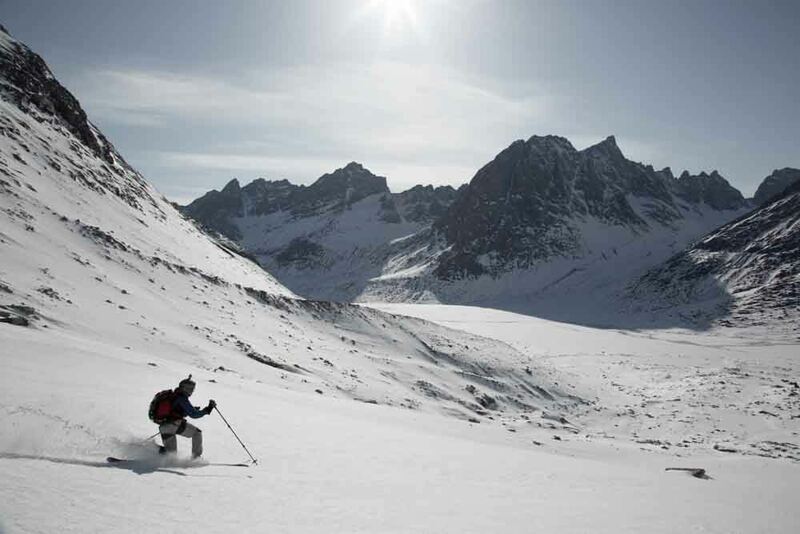 Edu Cabanas heard about what an amazing ski touring destination Greenland is, and he had to come to come and try it out for himself. He even got to ski on two peaks that nobody has ever skied on before! He told us all about his adventures in Greenland and the silence that he fell in love with out there. It all started one year ago: a friend of mine at Icelandic Mountain Guides sent me an email. He said: you like ski touring, don't you? You have to watch this video! It was for the Remote Peaks of Greenland. Instantly, we knew we had to go to Greenland, it was a flash of love! 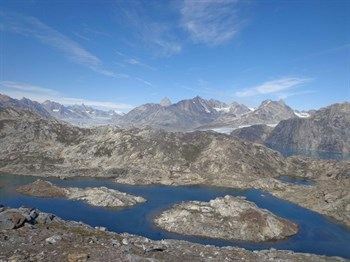 We stayed for 10 days, of which 5/6 days was spent in Greenland. I went with 2 partners from work, and the group totalled 7 from different countries. 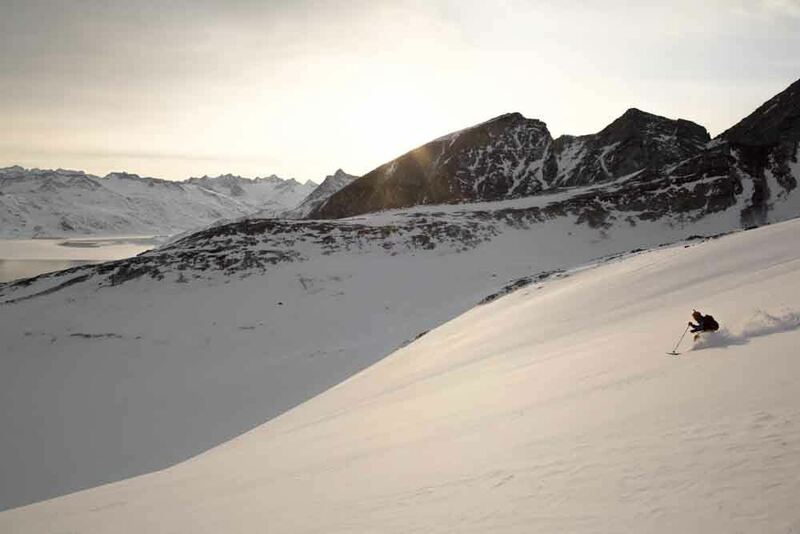 We did the Remote Peaks of Greenland, which is an alpine ski tour. My colleagues and I go alpine ski touring every year in a different country anywhere in the world, and this year we chose Greenland. My colleague read an article several years ago about Greenland, saying that the snow was incredible. When I showed the video to my partners, instantly he said we have to go! After two months, the group was full and we took the plane in April. There isn’t one thing. The loneliness really stands out, you do not see anybody for a whole week, just your group. No houses, no cell phones, no nothing. That's incredible. It's a massive, titanic landscape of fjords and mountains. Everything is huge: huge and remote. If you try to find somebody out there, it’s impossible to find people even just a small distance from outside the town. You are in the middle of nowhere, you can't find anything. It is magnificent. I cannot explain what would be the most important thing, but it is definitely a combination of factors. The people; there, the people are incredible. The possibility to play with the children, to speak with the people, to be allowed and invited into their homes, to be shown how they live. If you want to take tea or coffee with them you can, it’s incredible. 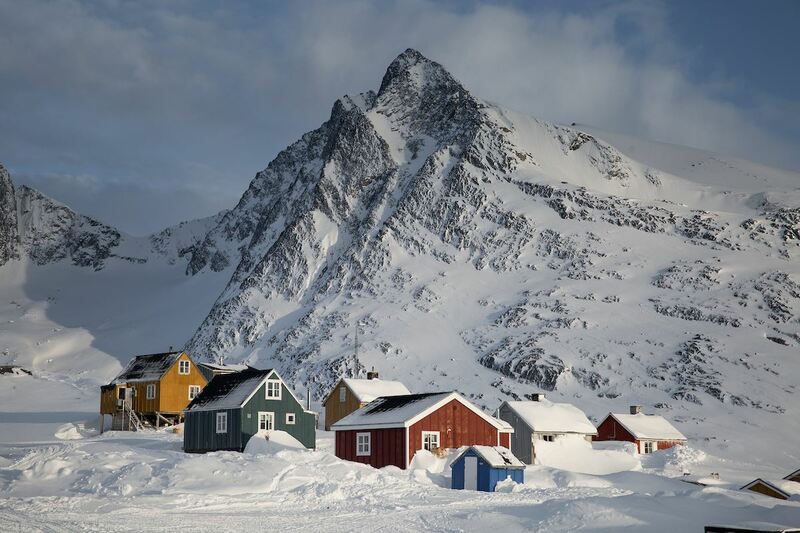 The name of this amazing village was Kuummiut [population 331]. One day, we had a problem with the food because the supermarket was closed and we did not have enough food to last the day. We spoke with the head school teacher: she opened her fridge and said “take what you need”. Whoa. Afterwards, she invited us to take tea and speak with her for a couple of hours. It was incredible: we had nothing and she gave us food and took the time to look after us. It's amazing to meet the local people that live here. 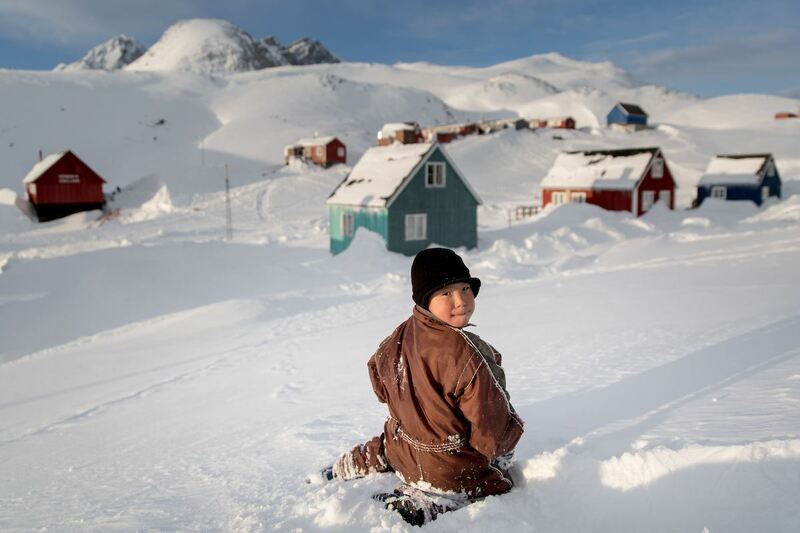 A Child in the Snow in the Village of Kuummiut. The generosity of the people and the children. The children are just so happy! We spent a lot of time with them after our tour was over, even after spending 9/10 hours ski touring. When we got back after the day was done, we spent maybe 1 or 2 hours playing with the children. When we arrived, they were waiting for us. In front of our house when we got back, we saw two men slaughtering a seal, and taking parts of the seal to the dogs, to feed the dogs. This is what they eat every day. I was speaking with the guide and asked if it was possible to eat seal and he said, “no”. It’s very, very tough and has a very strong taste. Maybe you have to be raised eating it. Don’t bring your cell phone! You will not do anything with it. Oh, that’s easy, ski more peaks! These peaks were amazing! Peaks and peaks and peaks! For us, it’s very strange, because here in Europe, in the Pyrenees for example or in the alps, we skied in the US and Alaska, skied in every place in the world, but never skied to the sea. 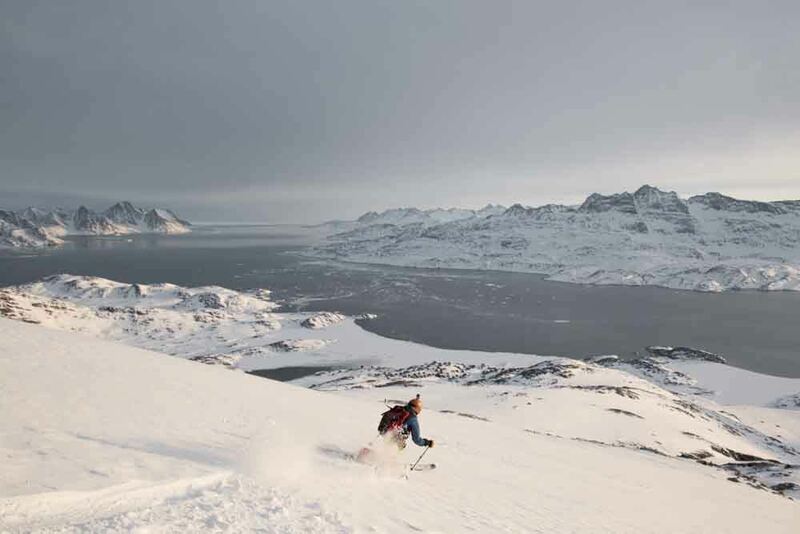 In Greenland, you can ski to the sea. 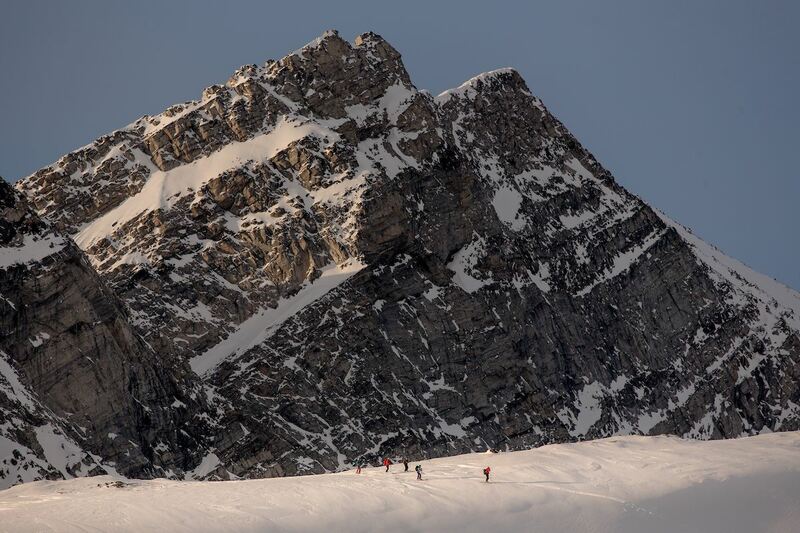 Spend two or three hours hiking up to an 800m peak, and you can ski down to literally, the sea. And the beach. It’s a frozen beach, but it is a beach. Here [Europe], this is not possible. We also went on two peaks that no one has ever skied on before, which was really amazing. 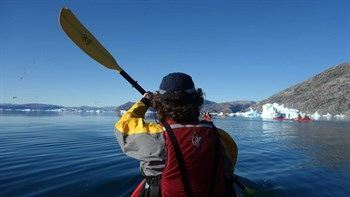 What advice do you have for people that want to visit Greenland? Don’t bring your cell phone! You will not do anything with it. Obviously, the peaks are an amazing experience. But the feeling to be in a remote area without anybody is incredible. You have to enjoy the silence. In a city like Barcelona, for us it is really impossible. In Greenland, it’s common. I enjoy the silence because it is very difficult to find locally. I remember one fo the days we could not ski because the wind was too strong. I went out of the house, and I walked 20 minutes away just to sit in the snow and to see the ice and the sea, and enjoy the silence. I really appreciated being able to do this; to be alone, to have time for yourself and your life. It's a great place to do that, and obviously you have to enjoy the people living there. Good question! I have a few small things planned: we planned to spend 3 days in May skiing in the Pyrenees, and probably another 2/3 days practicing allée skiing in the alps, and I will also spend 1 week in Morocco kite-surfing. Want to be our next Pioneer of the Month? Have you been to Greenland with us and would like to be featured as a “Pioneer of the Month?” Feel free to email us at joseph@mountainguides.is or call +354-522-4934.